Local record stores that sell physical records—vinyl, compact discs and even the odd vintage cassette tape or two—have seen a resurgence in recent years, but only one specializes in offering brand new releases of cassette tapes in the Philippines. Kurvine Chua’s United Cassettes imports new records from international music labels that are still releasing them on the old format and distributes them locally. It’s an unmistakable sign that physical records—while long thought-of as almost-dead and replaced by digital downloads and streaming services like Spotify—are sticking around and aren’t disappearing anytime soon. United Cassettes is actually a worldwide tape movement aiming to bring together fans, enthusiasts and collectors of audio cassettes. It was founded by Filip Zem?ík of Slovakia, who also owns an independent label called Z Tapes. Chua says they connected online through their mutual love for music. Zem?ík even released a few of Chua’s own songs. When the Slovakian began talking about expanding United Cassettes outside of Europe, he turned to Chua and asked him if he was interested in running the Philippine chapter. Chua didn’t have to think twice. 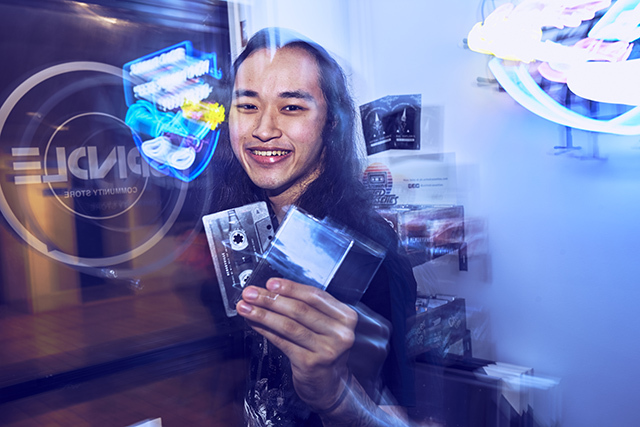 Being a musician himself and a big music enthusiast, Chua was familiar with the local scene and believed there was a market here for cassette tapes. Chua also mentions stores like Struggle Records that helps artists release their tape records online, as well as several bands and artists that have released music in the tape format. All of this pointed to a market that he felt was ready for his business model. 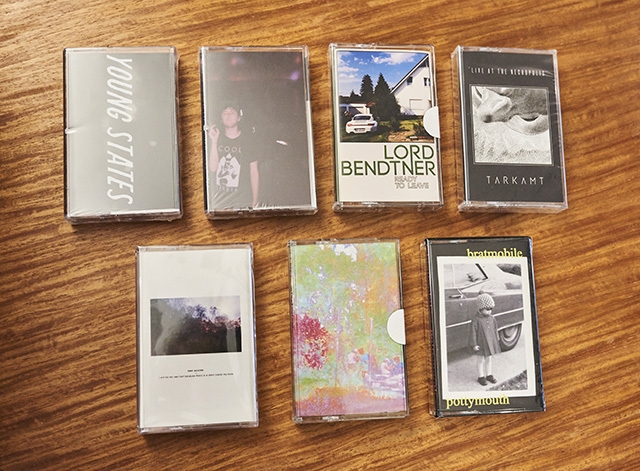 The 24-year-old opened United Cassettes first as an online store in 2017. As a one-man operation, Chua does it all—contacting the labels, choosing the cassette tapes to bring in, running the store, promoting it on social media and pretty much everything else involved with running the business. 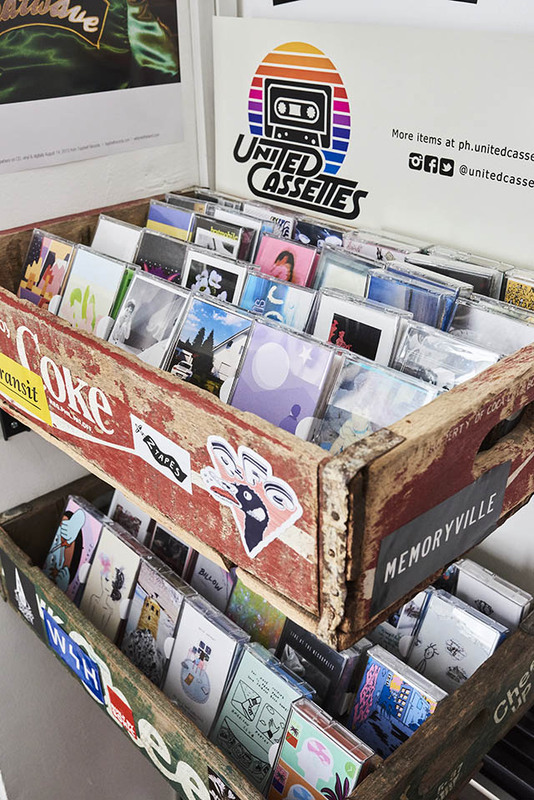 Within three months, United Cassettes opened a physical presence inside the Spindle Community Store in Creekside Mall, Makati City. Chua says he pays the owners of Spindle a flat monthly fee for the consignment arrangement. Because of the physical space, interest and demand have increased so Chua says he’s had to order more from his suppliers abroad. United Cassettes Philippines sells each of its tapes at an average price of Php500, which is a bit steep if you consider how much tapes used to go for back in the day (around Php150 to Php250). But Chua says it’s not a bad deal. The average price today for a cassette tape in an international online store like TopShelfRecords.com is about $8, plus shipping. But no matter the price, it seems there will always be buyers. So far, Chua says sales have been increasing at a steady pace since he opened. At this rate, it probably won’t be long before the fledgling enterprise truly takes off and the young founder can achieve his dream of opening his own record store-coffee shop hybrid. “Especially for the current generation, we lack tactility,” he says. “That’s why people crave vinyl, that analog experience. Some people can’t afford vinyl, so there are still tapes, which are also more pocketable.